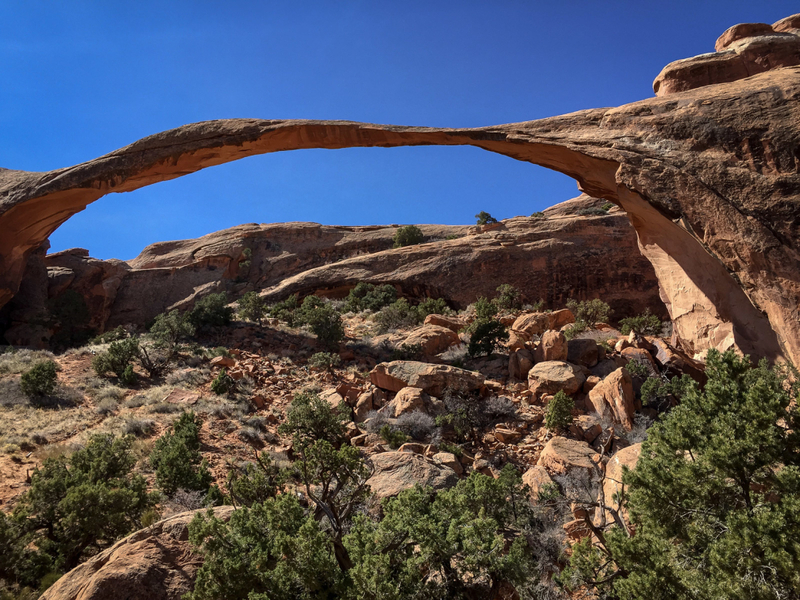 There are 52 sites for camping at Devil’s Garden campground within Arches National Park. The campsite is 18 miles from the park entrance and 23 miles from Moab the campsites are open year round. Arches National Park is 119.8 square miles of stunning, jaw dropping scenery. There are over 2,500 acres in the park. The only thing better than visiting Arches is spending a night or two within the park. These sites fill fast and are booked online, not through the park. Please make your reservations at this website. During the daylight hours, Arches National Park can be crowded, at night, sleeping in the park, feeling like you have it all to yourself… it is special. There are hikes that leave right from the campground for a sunrise or sunset experience. 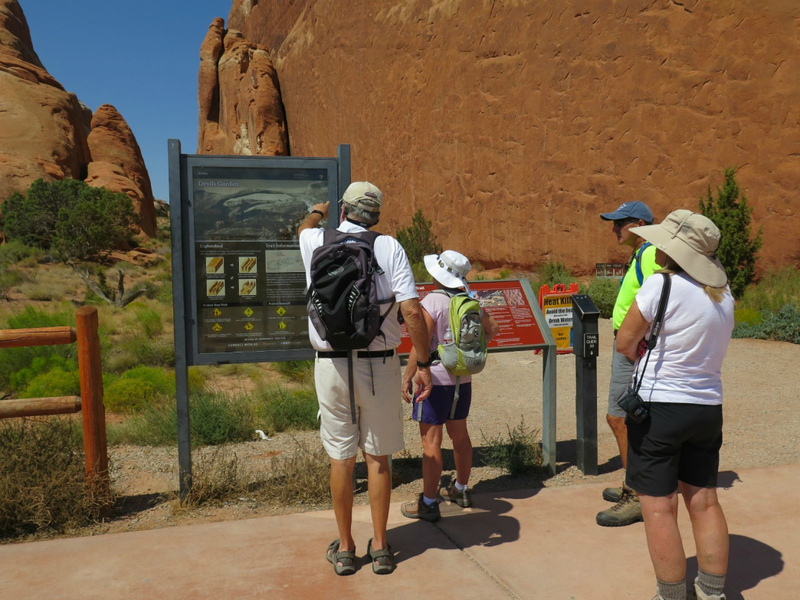 There are two group sites at Devil’s Garden Campsite and one handicap accessible site. The group sites are coveted and reservations fill quickly. Flush toilets and drinking water are available at the campgrounds. Each site has picnic tables and a fire ring. There are no restaurants in the park. The nearest restaurants or stores are in Moab, Utah, 23 miles away. There is also a camp host should you have any questions. If you love to camp, love to be out in the middle of gorgeous scenery and have it all to yourself, then this is an experience for you. If you are looking for a restaurant or a night on the town, you will not want to camp here. During the high season, there are evening programs in the amphitheater, check with your camp host or at the Park’s Visitor Center for more information. From Moab, go north on Route 191 and turn right into Arches National Park 5 miles from town. Drive 19 miles to the north end of the park. This is a popular hike with 150 parking spaces available, this is a hike to do early as parking fills. Entrance to the park is $10 for a vehicle and is valid for 7 days, Motorcycles are $5 each and entrance is valid for 7 days. Per person with no vehicle (bicycle) or parties of one is $5 and is valid for 7 days. Check the Park’s website as some days of the year such as Martin Luther King Jr. Day and Veteran’s Day are free. Dogs are allowed in the campground, leashed. Please clean up after your dog. Specific camping rules are available here.